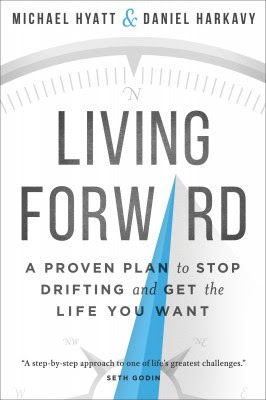 Living Forward: A Proven Plan to Stop Drifting and Get the Life You Want, written by Michael Hyatt and Daniel Harkavy, published by Baker Books, 2016. Are you happy with the direction of your life? Does your life even have direction? Do you have a plan to achieve your goals? If so, do you consistently stay on track with that plan? Living Forward will help answer all those questions in the affirmative. Best-selling inspirational author Michael Hyatt and executive coach Daniel Harkavy have written a terrific resource that will help you determine your life’s priorities and goals, design a life plan to achieve them, and help you stay on track by taking actions within that plan. Filled with examples, suggestions, and accompanied by several online resources, readers can finish the book in a few days, put a plan together in a few hours, and begin changing their lives for the better immediately. Living Forward consists of ten chapters divided into three sections; Understand Your Need, Create Your Plan, and Make It Happen. Understand Your Need helps the reader recognize where in life they might be drifting, what a life plan is and is not, and how to get the most out of it. Create Your Plan encourages the reader to take the long look at their life; what legacy do you want to have? From there, key priorities are identified, an action plan is created for each, and the life plan is written. The final section, Make It Happen is just that, taking the plan and putting it into action. I enjoyed the easy-to-read style, the real-life stories and examples, and the many tips for success the authors share. Readers will come away feeling like Hyatt and Harkavy are working with them, side-by-side, devoted to the reader’s long term success. [Living Forward] might be the beginning of a transformed life – a life of purpose and intention. The change begins now. I’m looking forward to re-reading Living Forward, shifting from reading to review to reading with the intention of life planning. I invite you to join the journey by clicking here to order the book from Amazon. Don’t forget to download the additional resources on the Living Forward website, including the life plan templates and time management resource. The power is in your hands. You have been given a great gift – your life. What will you do with it?